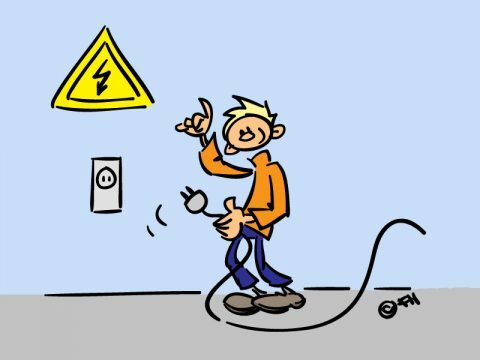 Home » Personnel » Working conditions » Working with electricity » How do I disconnect items from the power supply? 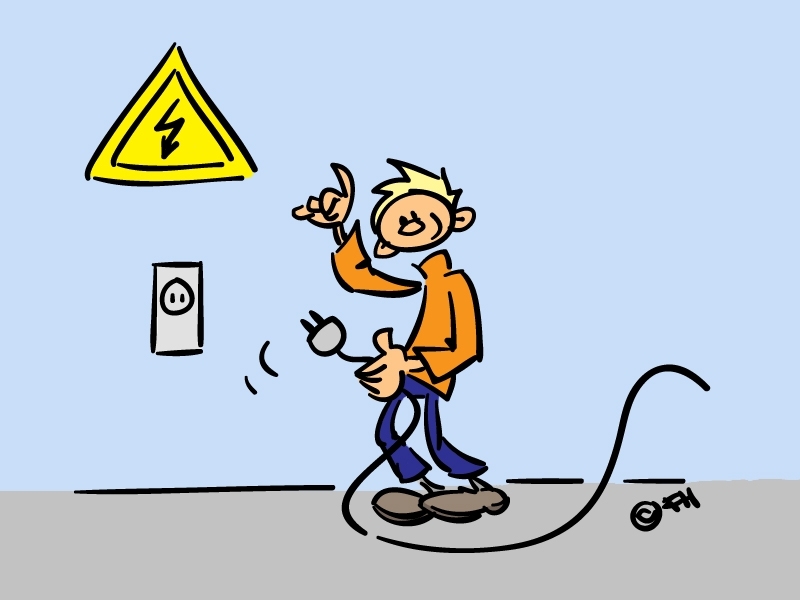 You may not work on a set-up or equipment without first disconnecting from the power supply. Therefore switch off the power first or get somebody else to do this. Disconnect the cable attached to the chassis. You can disconnect from the power supply by pulling the plug out, switching off the isolating switch or removing the safety fuses (and taking these with you). Always leave a warning behind that this part must remain disconnected due to work being performed. In the case of high voltage the work is always entrusted to a qualified person. The power supply is disconnected in the same way as for ‘mains power’. However, switching off a piece of equipment does not guarantee that there are no live parts. The qualified person will discharge live components by applying a clearly visible earthing with an earth stick.